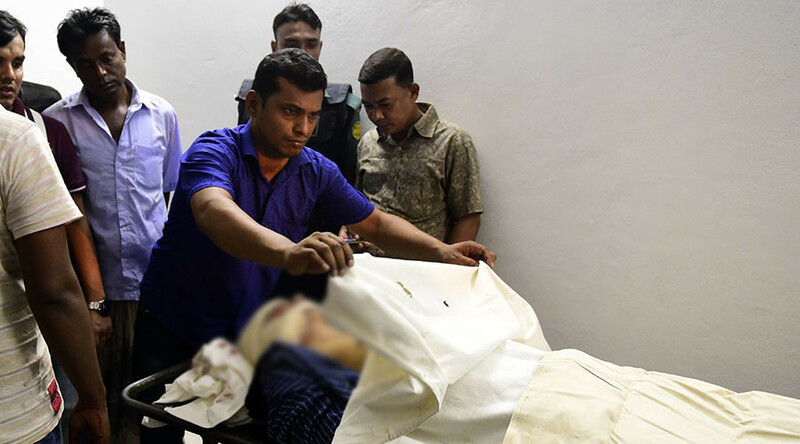 A publisher of secular books was hacked to death in Bangladesh’s capital Dhaka on Saturday after three of his colleagues were wounded in a separate attack. The victims in both attacks had been involved in the publishing of works by Bangladeshi-US blogger and writer, Avijit Roy, who was himself hacked to death on the Dhaka University campus in February. The slaughtered body of Faisal Arefin Dipan was discovered in the office of his Jagritee publishing house. “I saw him lying upside down and in a massive pool of blood. They slaughtered his neck. He is dead,” Dipan’s father, Abul Kashem Fazlul Haq, a well-known Bangladesh intellectual and writer, told AFP. According to Haq, that fact that his son "published the books of Avijit Roy” was the most likely reason for his murder. Local police chief, Jamaluddin Mir, said that at least seven people were trapped inside the publishing house when the attack on 43-year-old Dipanwas carried out. "The criminals introduced themselves as customers who were buying books, and entered the publishing house," he said. Earlier on Saturday, publisher Ahmed Rahim Tutul and two writers – Ranadeep Basu and Tareque Rahim – were shot and stabbed by three men at the Shudhdhoswar publishing house headquarters. Right after the attack Basu posted on a short status on Facebook, reading: "They hacked us, me Tutul and Tareq." 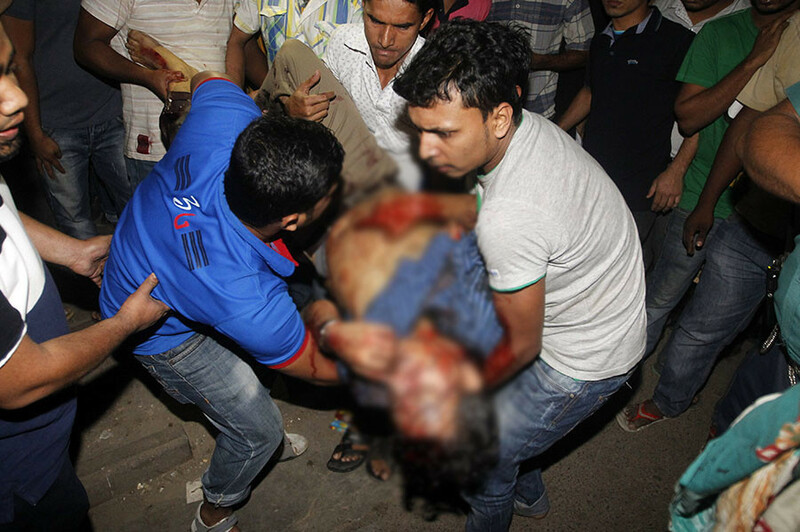 The three victims were taken to hospital, with Tutul being in critical condition, the police chief added. The head of secular bloggers’ group, Imran H. Sarker, told AFP that the people at the publishing house were attacked “in their heads and chests," with two men also receiving bullet wounds. “Given the horrific pattern of violence, we have reason to believe many other lives are now at risk," Faiz warned. At least four atheist bloggers have been killed in the Muslim-majority country of Bangladesh since the start of the year. The police are blaming violence on the banned local Islamist militant group, Ansarullah Bangla Team.